The recent Supreme Court whistleblower ruling is a devastating blow to defenses against corporate fraud, says an architect of the SEC whistleblower program. In a recent article on cfo.com, Jordan Thomas examines a significant and deeply concerning issue arising from the Supreme Court's ruling in Digital Realty Trust v. Somers. Corporate gatekeepers—those senior insiders such as auditors, attorneys and accountants with responsibility for identifying and curing misconduct—have special reporting requirements under the SEC whistleblower program. 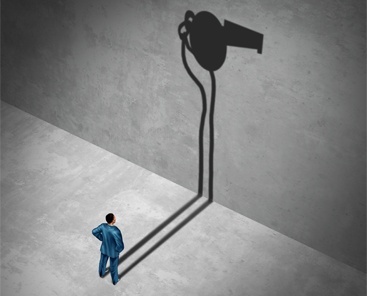 Given their unique positions, unlike conventional SEC whistleblowers, these employee watchdogs must report internally to be eligible for a monetary award. While the SEC has historically taken the position that internal reporting triggers the program’s significant employment protections, the Court stripped those protections in its reading of the statute. As a result, while other whistleblowers can go directly to the Commission to report misconduct, secure employment protections and earn a monetary award, gatekeepers have an impossible dilemma: report internally at their own peril, or report to the Commission and forego an award. The implications are serious. Congress has the power to change it. Please visit CFO to read the full article.